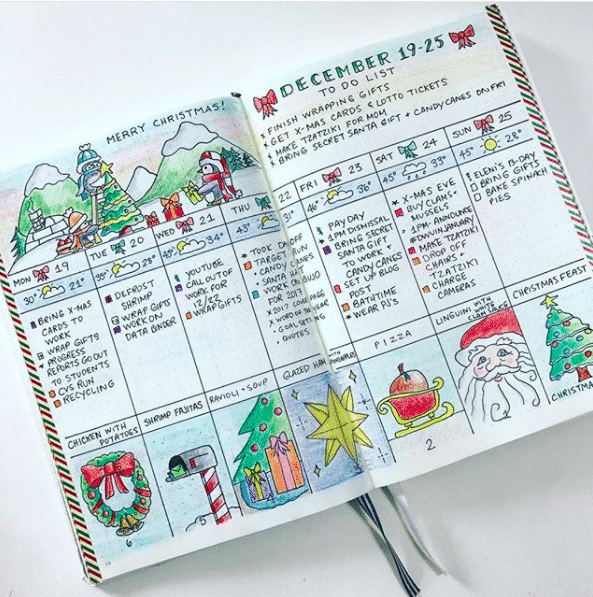 It’s almost time to start prepping your bullet journal for Christmas. Has inspiration struck yet? If not, it’s okay. 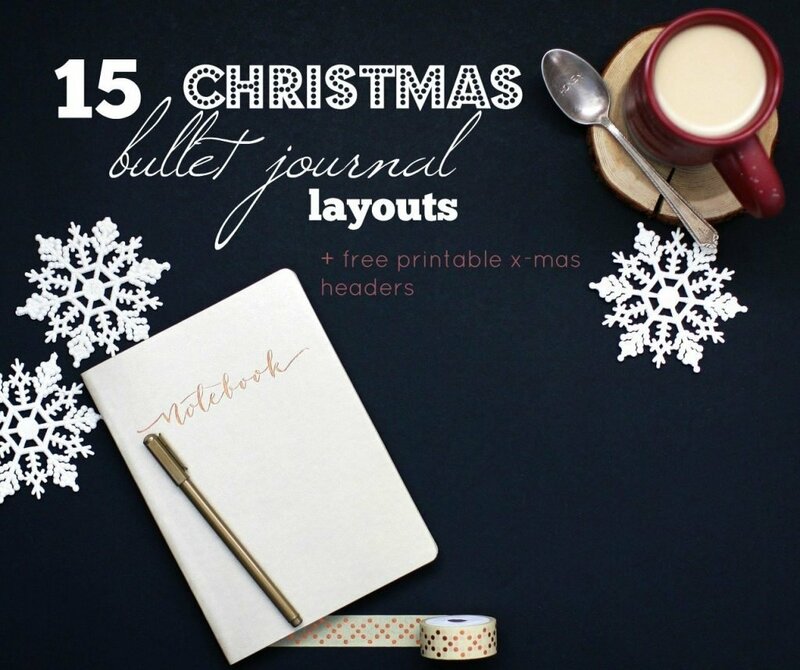 I’m sharing 15 awesome Christmas Bullet Journal Layout Ideas to get you started. 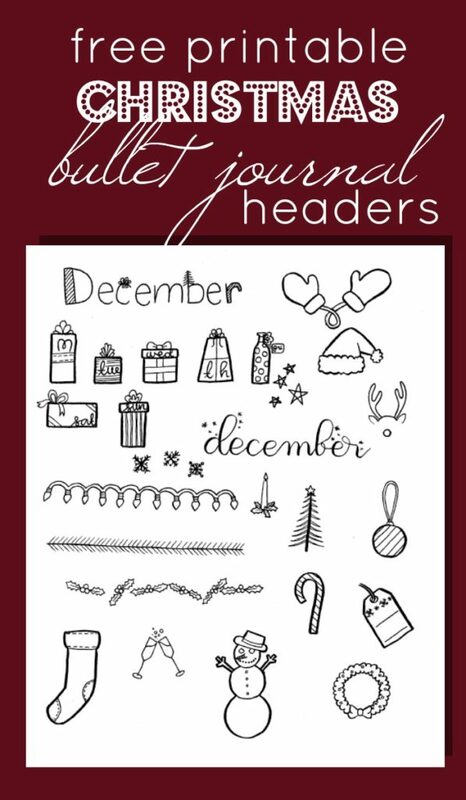 Plus, grab my Free Hand Drawn Printable Headers at the end of this post. 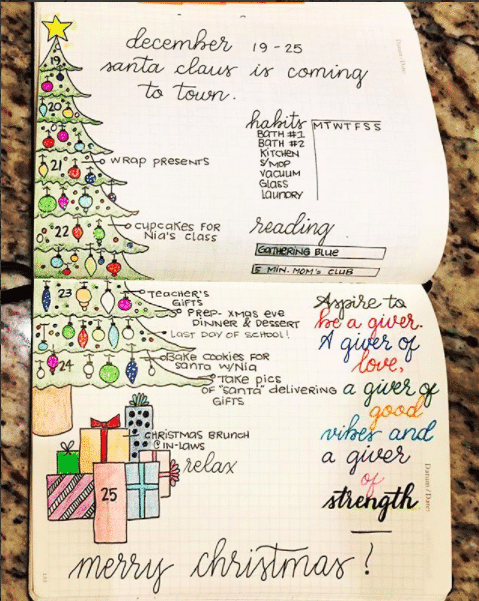 It’s fun to decorate your bullet journal for the approaching holiday season. 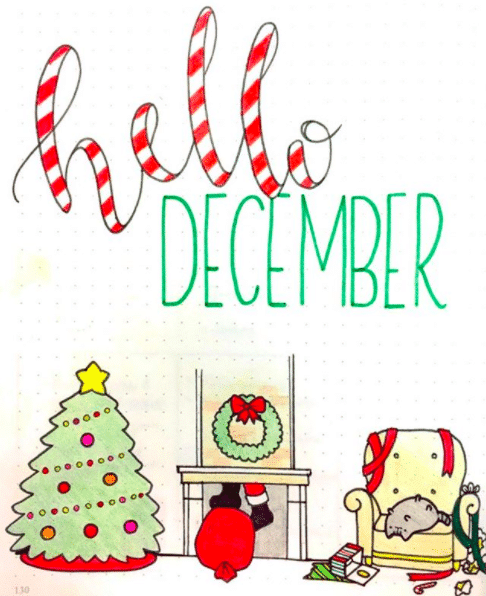 It’s like decorating your house, without having to go out into the freezing cold and climb an icy ladder. The sky is the limit when it comes to creativity. Dig deep into your imagination. 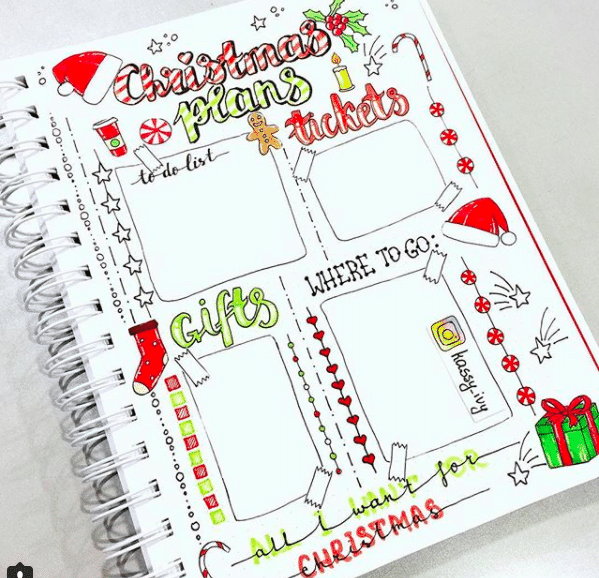 Use clip art or doodle, add photos or glitter. 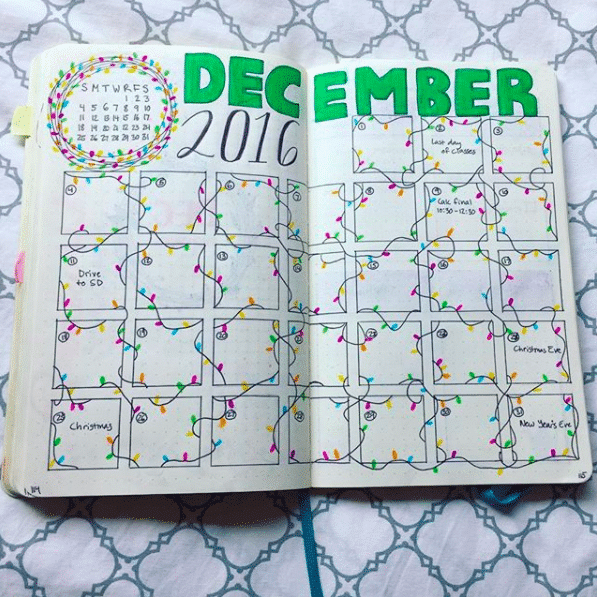 Make your journal as festive and cheery as you want. 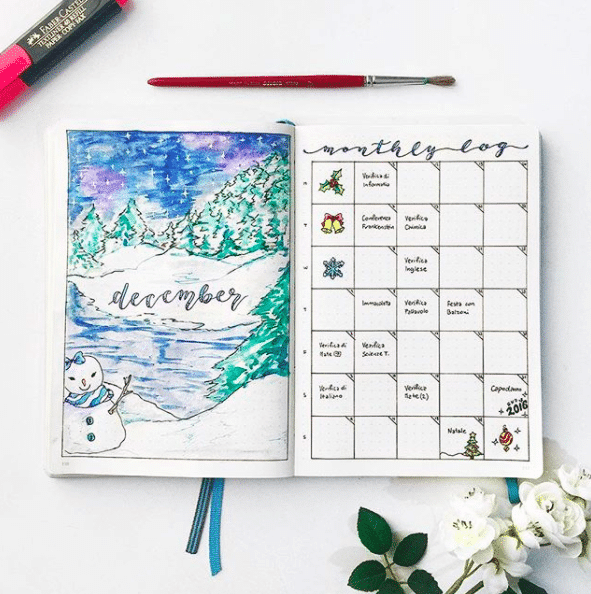 Then, be sure to share it on Instagram and tag me, @the.petite.planner. 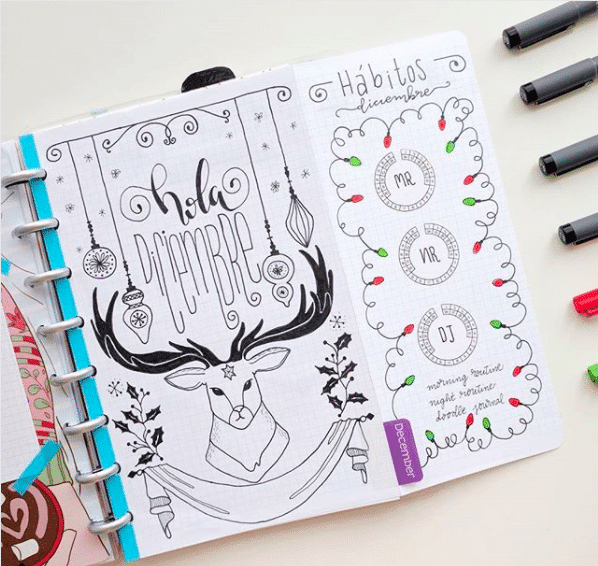 What other Christmas themed doodles and designs can you think of? 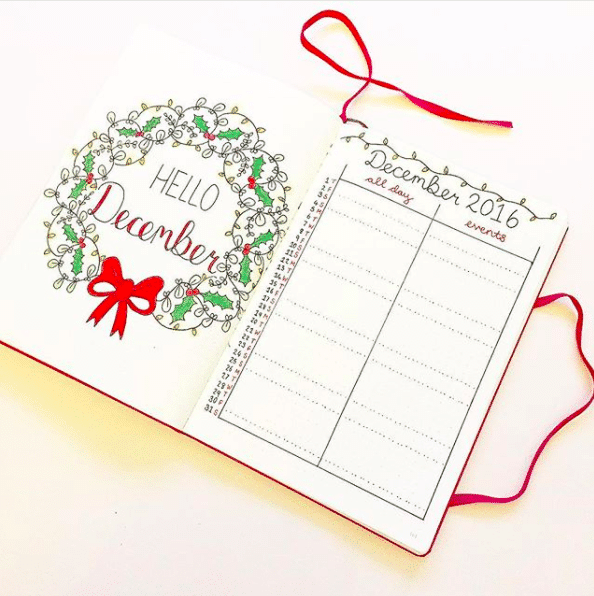 Let me know in the comments so I can add them to my list. 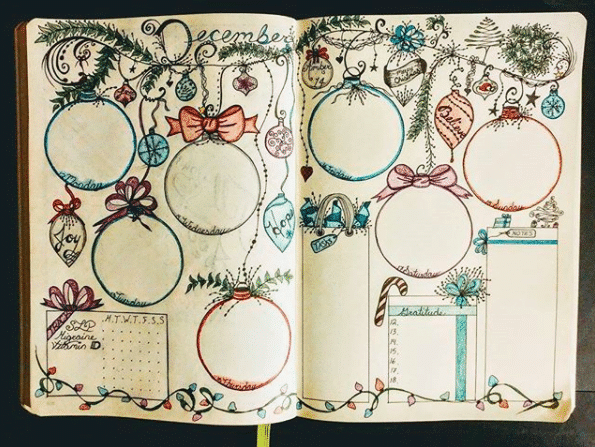 The layouts below all come from very talented and imaginative journalers. 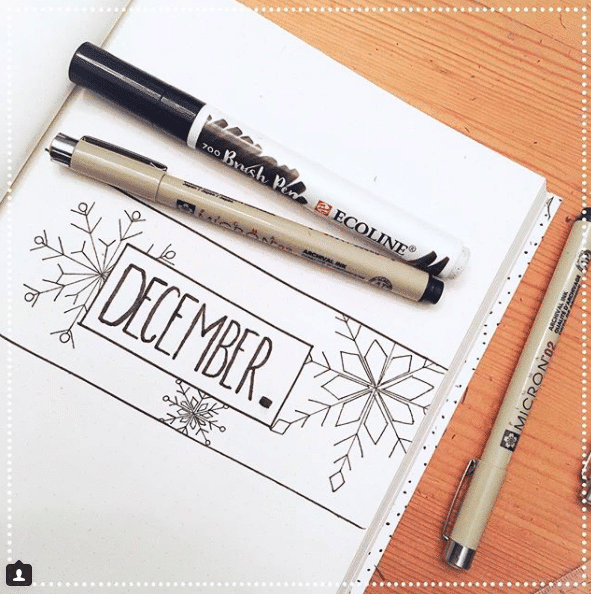 You can find a link to each Instagram account in the photo caption. They all deserve a follow. 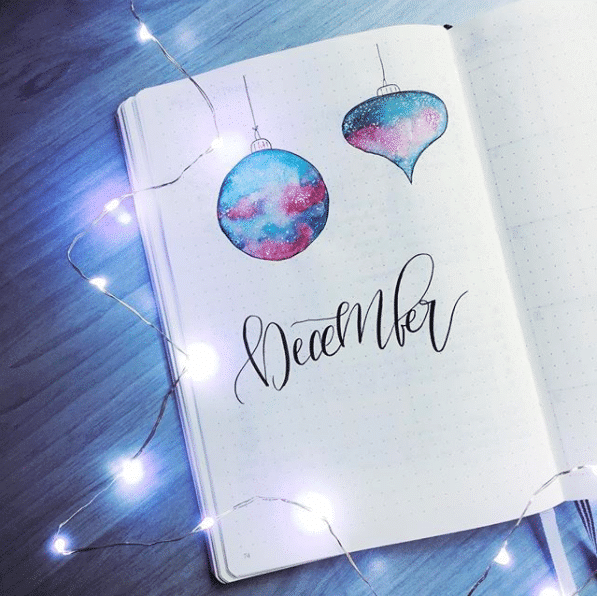 Did you find some inspiration? I know I did. 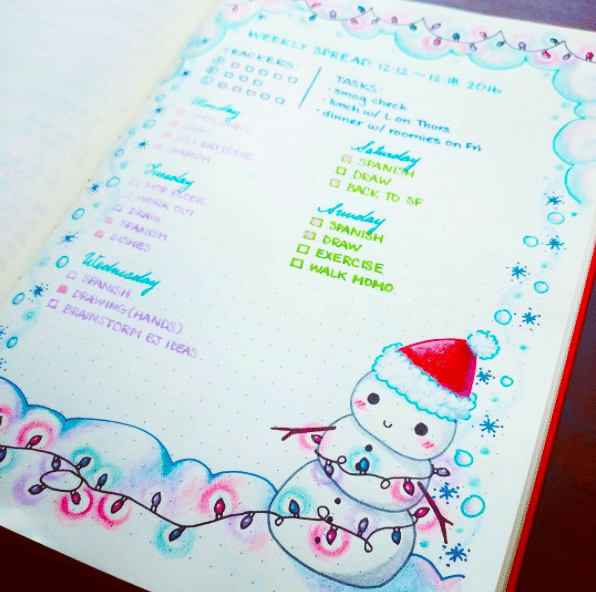 I want to make ALL of these spreads; they are seriously so pretty! 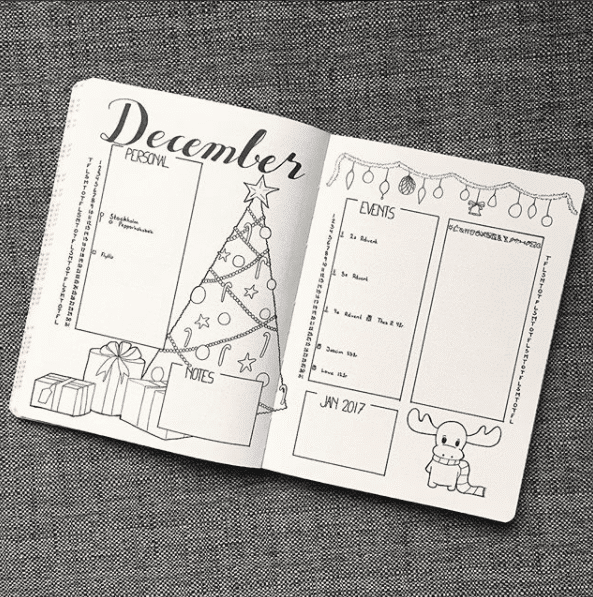 You can also grab my Pre-made 2017 December Bullet Journal Setup from my Etsy Shop. 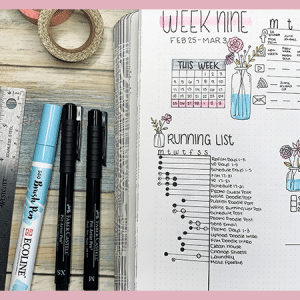 There are two options: a standard layout with a cover page, monthly spread, habit tracker, mood tracker, gratitude tracker, and two weekly layouts. 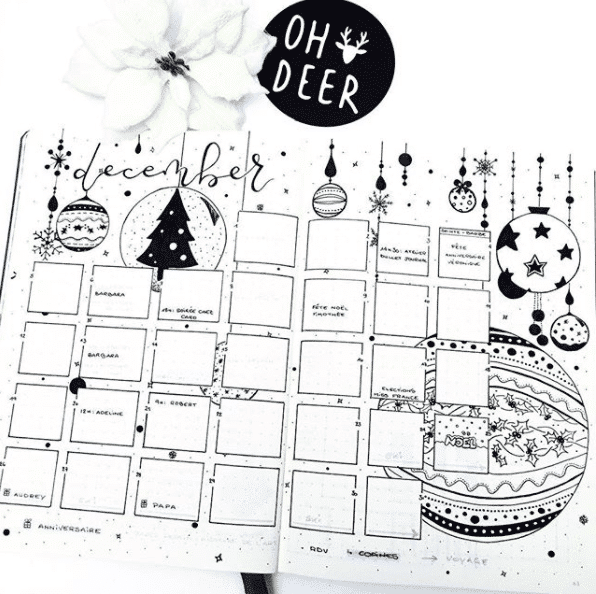 The second option is a Deluxe Setup which includes all of the above and two pages of Christmas Stickers. 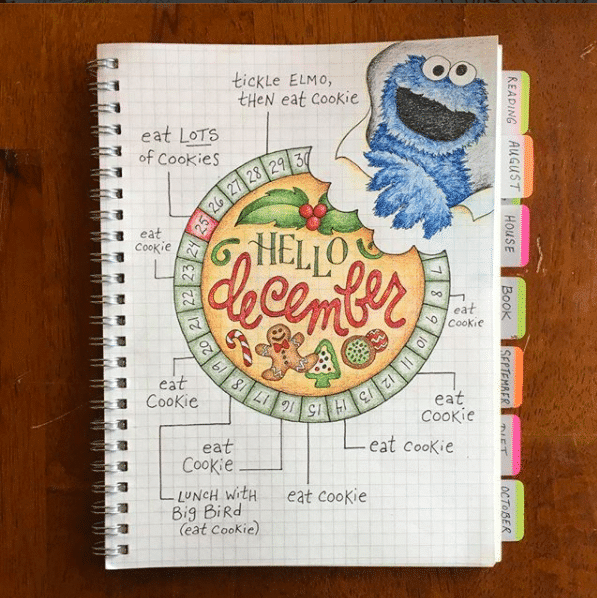 and then color them, cut them out, and stick them in your journal. All the headers will comfortably fit across a single A5 page. 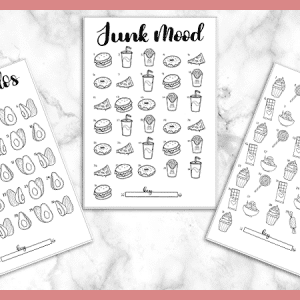 Enjoy, and be sure to join my mailing list and get access to my VIP Resource Library, full of all my free printables. 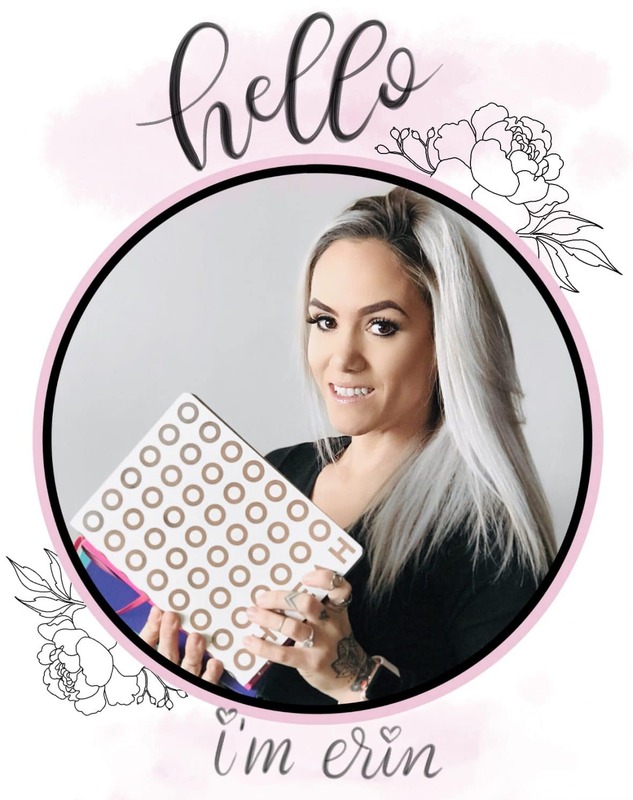 Don’t forget to come say hi on Instagram or Facebook! I love when you guys reach out with questions or comments. 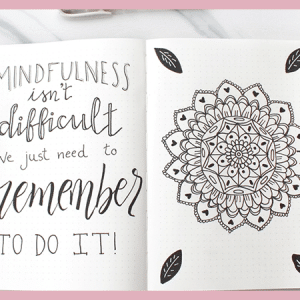 It makes my day and I would be more than happy to chat with you about journaling, anytime! These are all so cute!!!!!! 🙂 I thought I loved one until I saw the next and then I loved that one more! Thanks for the comment, Ashley. And I know! I felt the same while I was putting it together. There are some extremely talented and creative people on this list.